We strongly recommend that researchers who wish to visit the Archives Department make an appointment with the Archivist in advance to ensure that any material to be consulted can be retrieved and made available upon arrival. 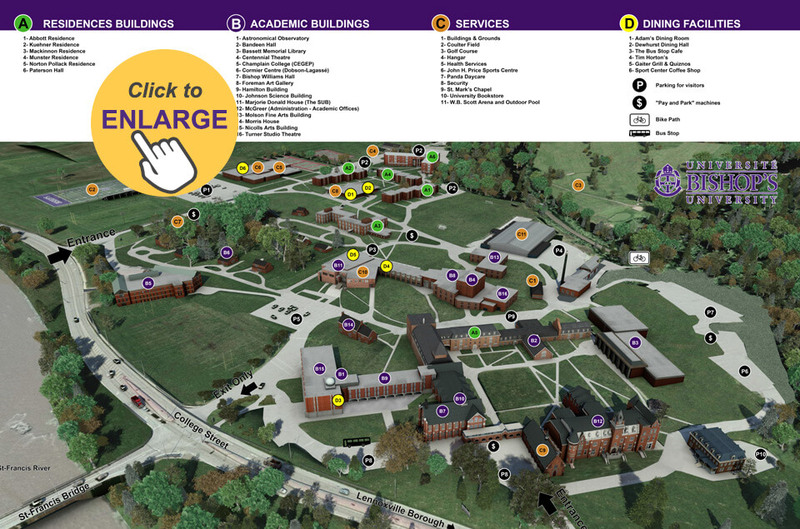 The Consultation Room and Archivist’s Office are located in the Old Library, McGreer Hall building on the campus of Bishop’s University (identified as B12 on the campus map). Researchers can visit the Old Library Monday through Friday, 9:00 a.m. to 12:00 p.m. and 1:00 p.m. to 4:30 p.m.